Ian Buddery, Director of m2Wealth and Chairman of InterfereX Communications, CritialArc and Maestrano offers his advice on how startups should approach venture capitalists. 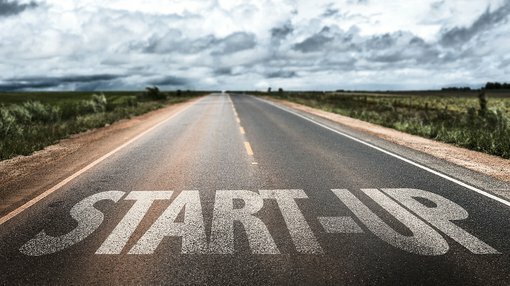 I’ll presume that most readers have long since Googled this topic and encountered a range of advice and opinions, many of which are accurate and sometimes relevant to startups – and in particular the Australian startup environment. VC bashing, like bank bashing, is a favourite sport for many in the startup sector. However, critics tend to lose sight of the reality that a VC fund is a business and has to make a return for its investors, in a game that is tough and unforgiving. Attracting VC funding requires an understanding and acceptance of your situation. As an entrepreneur seeking funding, you need to make sure your business offers not only an exciting opportunity, but also considers and manages the downside risks. VCs, like any investor, want to minimise risk and maximise return. The demand for investment capital far exceeds supply, so VCs can afford and need to be choosy. Moreover, they are more interested in following established trends than disrupting existing models. So my first piece of advice is to get past the risk stage of your startup before you invest time in marketing to VCs. You need a go-to-market model that is delivering growing revenue and is scalable. ‘Frictionless’ is the new black and congratulations to you if you create such a sales model, but most of the time it’s hard work and shoe leather that gets a new product selling. Too much revenue from too few customers – you need to show a broad and growing user base. Cost of acquisition that exceeds one year’s revenue from a client. A profitability date that is multiple years in the future and depends on achieving income from uncertain sources. A deployment or implementation model that needs too much human effort. So let’s say you’ve got your perfect ‘Goldilocks’ business up and running, a revenue run rate building fast and you need a serious lick of money to take advantage of the new opportunities appearing every day (happily, we’re enjoying this challenge at Maestrano right now!). How will you attract the attention of the VC community? Win some credible industry awards (they’re easy to apply for). Attend networking and tech events, wherever you can afford. While you’re doing all this; build a compelling pitch deck, an investment summary and an Information Memorandum. Find people who’ve been successful in raising VC funding and ask them to review your material. Edit and rewrite ruthlessly, cutting out the fluff and making your message loud, clear and interesting. Get as many opinions as possible before you set you valuation target and make sure you have strong comparables and a compelling, well considered argument – saying “we’re cheaper than Xero/Atlassian/Freelancer” is not an argument – it’s a sad cliché. Expect to be knocked back, but learn from the experience. You’ve got to kiss a lot of frogs before you find a prince or princess, so prepare for a long haul, listen to the feedback and adapt at every opportunity. Ian Buddery has over 25 years of experience across the technology, telecommunications and financial services industries in both local and international markets. A high achieving leader with extensive public company experience, Ian is the founder of multiple companies including eServGlobal in 1991 (ASX:ESV). During his career he has successfully obtained Venture Capital and Angel funding, performed two IPOs, six acquisitions and one major trade sale. Ian holds a number of positions, notably. A software engineer by training, Ian has a background in resources, telecoms and defence industries, followed by sales and marketing with technology vendors. He is a Charter Member TiE Sydney and a Commercialism Australia Expert Network member.